Located on the foothills of Himalaya’s, Jim Corbett National park is considered to be the most exciting place for wildlife lovers. Whether it’s scenic beauty, endangered species or the peaceful ambiance, this place will not disappoint you in any way. People from all over the world visit this park, which was built in the memory of Jim Corbett. Mr. Corbett was a former hunter and pushed his limits to every extent to set this national park to preserve wild animals in their home. Corbett National Park is the home to beautiful rarely seen species such as Tiger, Himalayan Kingfisher, Dhole, leopards and much more. Only a true a wildlife lover or photographer can understand the value of capturing the live moments of these animals. The elephant or jeep Safari’s in the Jungle will let unveil the real scenery of a jungle. You will be able to encounter beautiful birds, herds of elephants, deer, Wild Lizards and if you are lucky enough you might be able to watch a Tiger roaming around in its world. These rides generally cover the regions Jhirna, Bijrani, Gairal and Dhikala. Dhikala is the most popular place in Jim Corbett National Park, which has the guest house in the middle of the Jungle. Covered with electric fence, this place practically makes you stay with the animals. You can see wild creatures passing by from your guest house without being bothered by you. It is suggested not to create any disturbance in the home of these animals and experience the wild life quietly. Located at the Ramnagar city, nearby Corbett, this holy temple is a rock shaped shrine. It was made under the name of Hindu goddess Garija or Parvati, on the Kosi river. As per the legends mostly Newlyweds visit this temple to take the blessings of a happy married life from the Goddess Parvati. As this is the only water supplier for wild animals, so spending some time near the river is worth an effort. During summers, wild creatures come to this river from Corbett to drink water. How fascinating it will be to watch a Tiger or leopard drink water just little distance away from you. Wildlife photographers get amazing shots near Kosi river, taking the live view of animals walking around in the wild. Yes Adventure lovers!! You also have an option of river rafting near Corbett National park, in the Kosi river. Get the thrill of challenging the aggressive water rapids and bring out some wild side of you through rafting. Apart from river rafting, there are lot of other water adventures arranged by the tour guides for you to complete your journey with delirium. 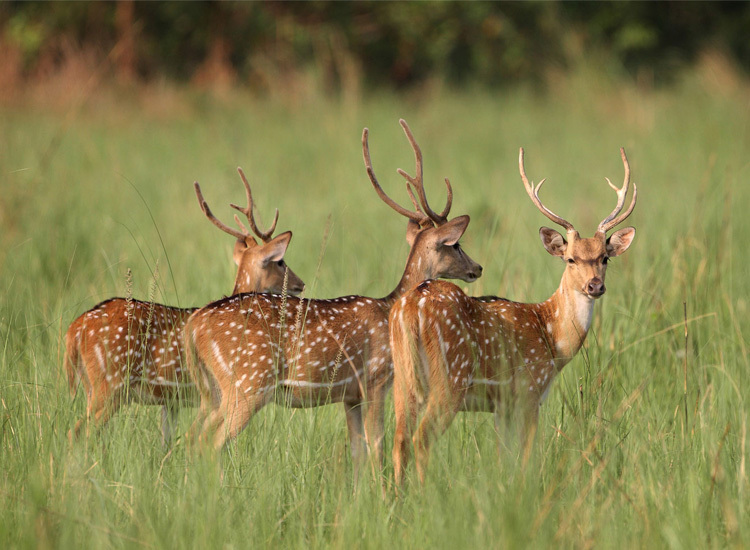 So explore this alluring wildlife national park and its glowing beauty in its true form. You never know, while touring through the wild you might get to discover the life which survives on the nature.